Browse and buy darts medals online with low-cost engraving and fast UK delivery. 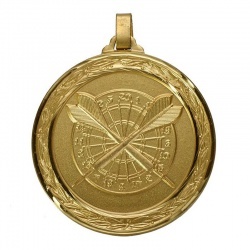 Optional presentation boxes and/or medal ribbons. 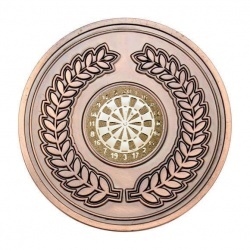 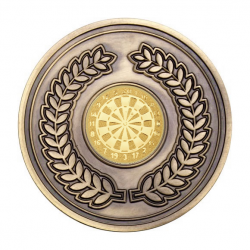 60mm dia darts medal in antique gold. 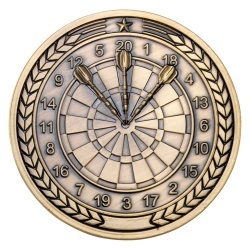 Optional rosewood box. 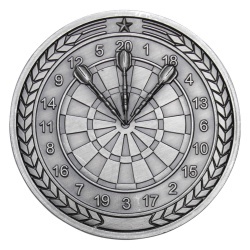 60mm dia darts medal in silver. 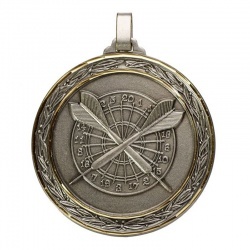 Optional rosewood box.